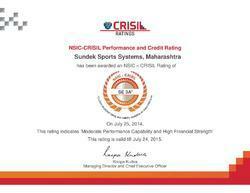 We "Sundek Sports Systems", incorporated in the year 2010, are the Maharashtra based leading manufacturer, trader, supplier, retailer, importer and service provider of indoor and outdoor sports surfaces that are designed from qualitative material. Our range of products are wooden flooring, tennis court and court flooring and sports room flooring etc, that are widely used in various areas such as gymkhanas, clubs, schools, hotels, stadiums, universities, armed forces and many more. With our vast experience, we are a distinguished supplier of sports surfaces, which are designed and installed wooden and acrylic synthetic sports surface with the help of best machines and manpower. We are importers of timber from European countries and have a state of the art workshop in Gandhidham (Kutch – Gujarat). We are also authorized distributors of Rebound Ace (Australia), a company approved by ITF and engaged in laying of synthetic surface for the Australian Open (Grand Slam) for more than 20 Decades. Our products are designed using wood based indoor surfaces and synthetic based outdoor surfaces. These surfaces are made of new technologies and high standards for minimal maintenance. 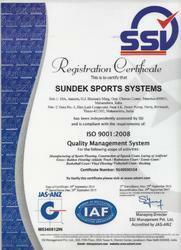 We are also engaged in proving construction services of sports courts. We take exclusive care of impact of the floor on the body to avoid injuries on knees, leg and hand. We deliver our wide range of products across the country where great lover of sports exists. Due to lack of proper and perfect playing surfaces and training facilities, our country has been unable to produce world champions on regular basis. To cover up this problem, we offer perfectly designed sports surfaces which help playing games easily. Our firm has built a strong reputation for delivering a wide range of sports surfaces with its innovative techniques combined with uncompromising quality standards. Therefore, we manufacture our range of sports courts using synthetic flooring and wooden flooring. Our products are stringently tested at every stage of production on various parameters. Our quality analysts are also responsible for capability, security and performance of the entire manufacturing process. 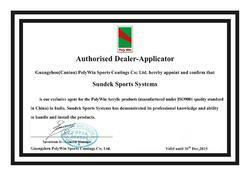 With a sound quality division, we have been capable of serving a quality proven range of sports products to our reputed clients. 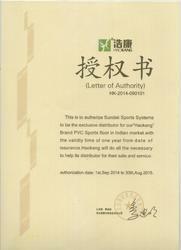 We are an exclusive distributor of "Haokang" Brand PVC Sports Floor in Indian Market. 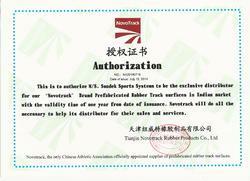 We are exclusive distributor of Novotrack Prefabricated Rubber track surfaces in Indian Market. 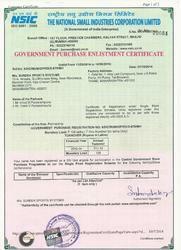 We are an authorized agent of PolyWin Acrylic Products. We have a team of professionals and designers who are best in their respective work. The team of experts is the essential and integral part of our firm. Our committed and laborious team comprises of technicians, designers, quality inspectors and other engineers. Our team of experts, work in close coordination with each other at each stage of designing and installing playing surfaces. Their main objective is to enhance the quality of the sports surfaces and hence maximize client's satisfaction. We are one of the prominent suppliers of Indoor and Outdoor Sports Surfaces. The sports surfaces which we offered can easily survive with the changing seasons and harsh conditions that a surface is subjected to. These products can be customized as per the client’s requirements and are available across the country. Apart from these products, we also offer Multipurpose Hall, Auditoriums and Gymnasium. All these products are designed using qualitative synthetic flooring and air-crush wooden flooring by proficiently utilizing latest technology. Affordable and long lasting multi-sport surface. True bounce & ball response qualities. Suitable for both cement and asphalt surfaces. Speed variation from fast to slow. Excellent grip in all weather conditions. Available in different non glare stable colours. Tennis Australia, ATP Tour, ATF & ITF Classification. Exclusive use of Bona Polish which is Anti Skid and DIN approved. Polyurethane lacquer at the bottom side of surface board to prevent moisture gains. Internationally approved and technically sound laying system.